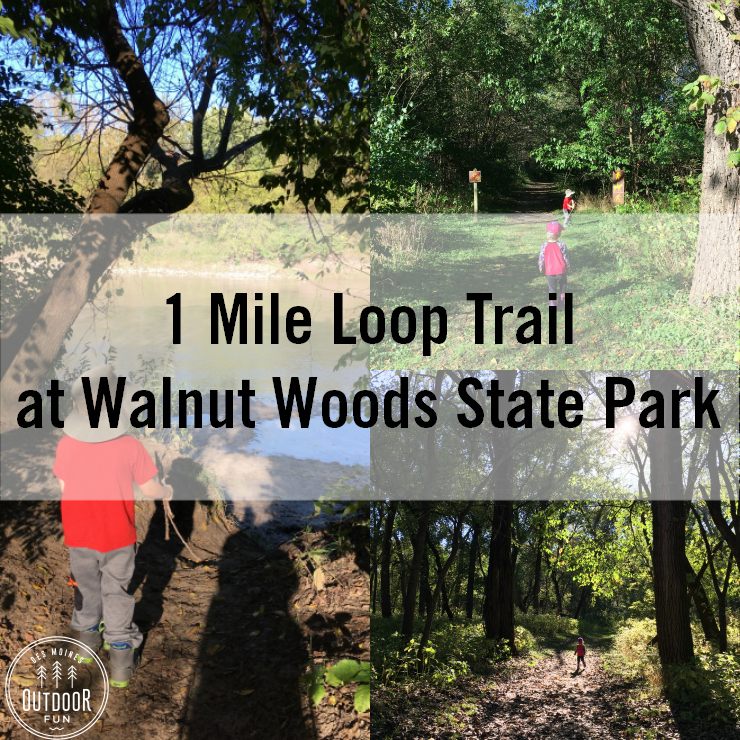 Walnut Woods State Park is a gem, and one of our favorite parks when my kids were younger. 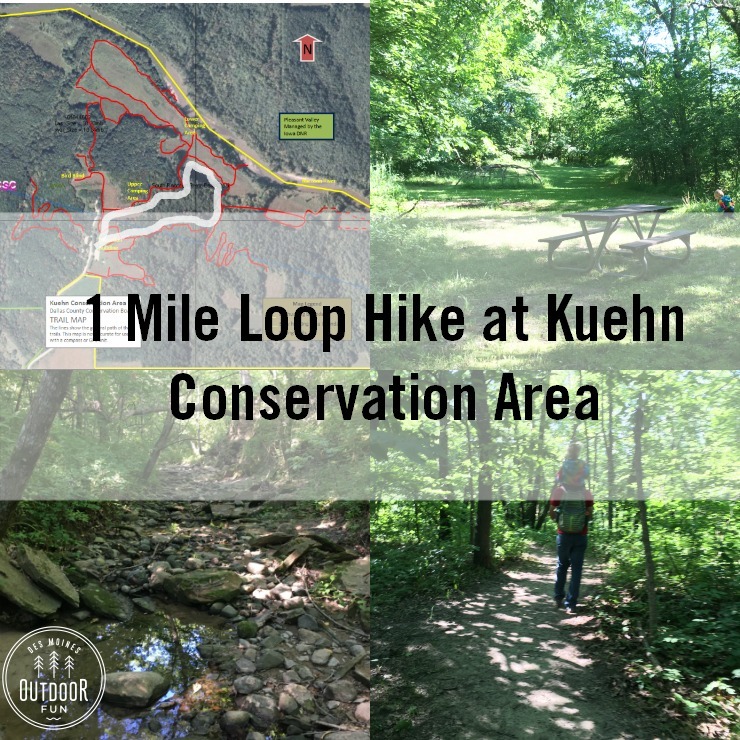 There are several trails, but we like this one so much we haven’t ever explored further! This is a loop-ish trail; the trail itself is a U and then it’s an easy walk through the open grass to get back to the beginning. 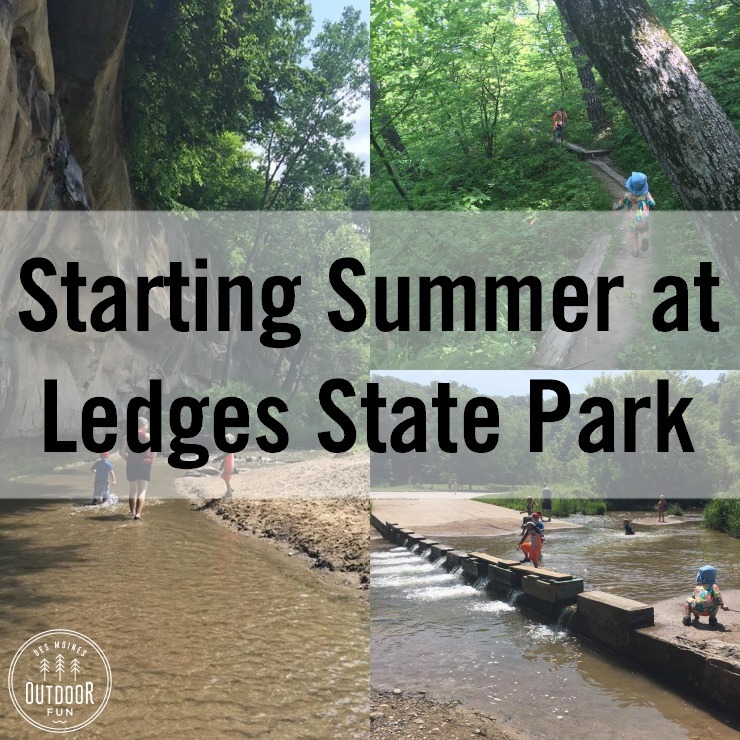 My kids love this trail because the way we hike it, there is a playground at the end! It makes for a great motivator. It’s also a great place to see fall leaves, earning it a spot on this list! 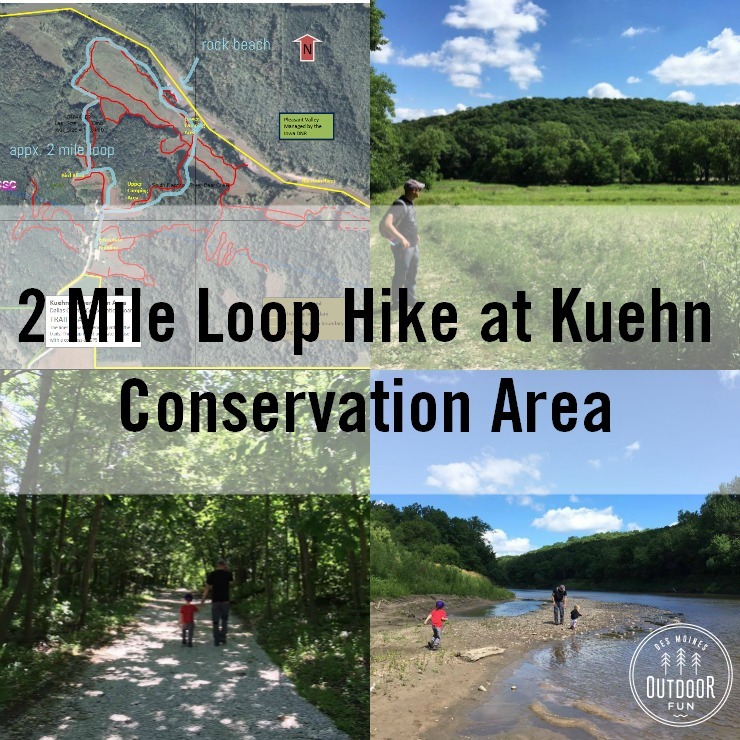 For Father’s Day, we took advantage of the cooler temperatures and returned to one of our favorites, Kuehn Conservation Area out in Earlham, Iowa! A short drive from the metro, this park feels like it is on the edge of civilization and we love it. Even on a weekend, we practically had the whole place to ourselves. Last Fall we went East and down into the more wooded area, where we saw a creek (pictures on the main Kuehn page) so today we went west, checking out the primitive camping areas, the river beach, and the prairie. We took advantage of the beautiful weather last weekend and spent most of it outside. Friday night we splashed around in the creek at Centennial Park, with plans to hike Saturday morning. 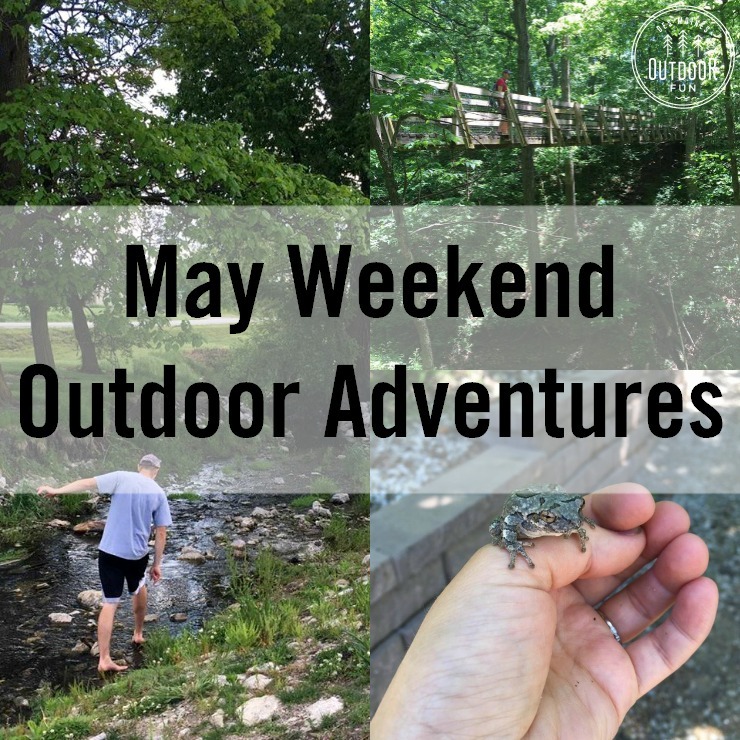 I prefer going to farther out destinations when my husband can join us, for fear of getting totally lost and ending up hauling 60+ pounds of kid over my shoulders, so we headed out to Warren County and started exploring.